*** Important Requirements: You need to have a computer (Windows or MAC) running Minecraft. 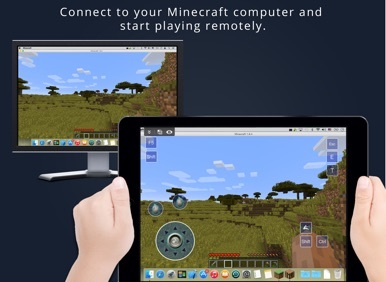 You also need to have purchased PC / MAC Minecraft license. 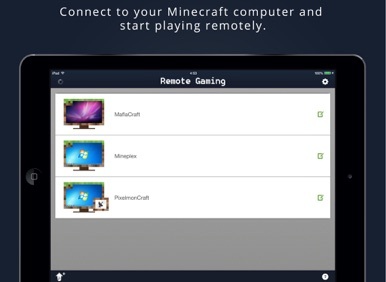 Remote Gaming by Splashtop is a high performance remote desktop app optimized to stream your Minecraft game from your computer to your iPad. Over 18 million users are using Splashtop remote desktop solution today. The Minecraft optimized gamepad profile is customizable, and allows you to modify or create your own. Follow the instructions to apply various beauty treatments and give this sweet princess a soothing massage. Once she's feeling relaxed and refreshed, browse the wide selection of cute hairstyles, stylish clothes, elegant accessories and more, to create a fabulous look for Princess Anna in this fun online makeover game for girls!